Global climate change - especially as it relates to glacial melting and rising ocean levels - is the subject of much debate and research. 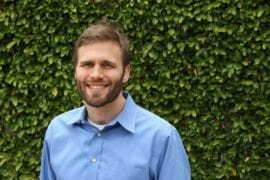 Eric Rignot, Earth system science professor, studies ice sheet melting in Antarctica and Greenland. He will talk about his work March 31 as part of the 2008-09 Discover the Physical Sciences Breakfast Lecture Series. Global climate change – especially as it relates to glacial melting and rising ocean levels – is the subject of much debate and research. 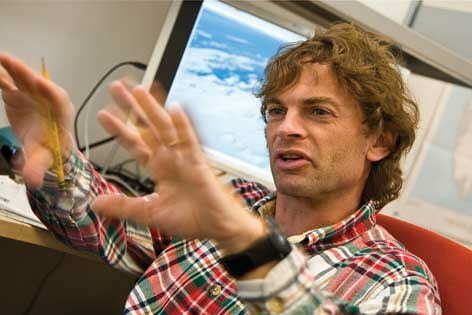 Eric Rignot, Earth system science professor, studies ice sheet melting in Antarctica and Greenland. 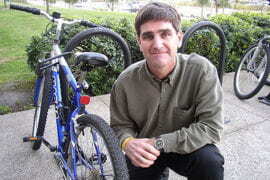 He will talk about his work 8-9 a.m. Tuesday, March 31, as part of the 2008-09 Discover the Physical Sciences Breakfast Lecture Series. The lecture, at the University Club, is free and open to the public, with a complimentary breakfast at 7:30 a.m.
Q: Antarctic and Greenland ice sheets are melting faster than anticipated. Why is this happening? A: In Greenland, this is the result of warmer air and ocean temperatures. Warmer air increases the rate of snow and ice melting, so the ice sheet thins. Near the coast, glaciers are destabilizing and breaking apart quicker, which accelerates mass loss from the ice sheet. In Antarctica, air temperatures are rising, but only on the Antarctic Peninsula. Elsewhere, glaciers are destabilized by a warmer ocean. Q: Why is it important to monitor these melting ice sheets, and what effect might a reduction in ice have in those regions? A: If these ice sheets melt into the ocean, they will raise the global sea level by 180 to 210 feet. There is growing concern that they could raise the sea level by 3 to 6 feet even before the end of this century. The ice sheets are changing more quickly and significantly than anticipated, and we do not have good models to predict their future change. Q: How do you measure ice loss? A: We use a variety of satellite techniques. The one I use measures how quickly the ice moves. We compare this to data on snowfall and ice thickness to determine the speed the ice is moving. If it moves too fast, the ice sheet loses mass. Another technique measures the Earth’s changing gravity over time, which is related directly to the ice sheet’s changing mass. Finally, we have satellite measurements of the surface elevation of the ice, which tells us whether the volume of the ice sheet is increasing or decreasing. We use these techniques in concert to eliminate uncertainties and understand the physics of ice evolution. It is one thing to observe it; we also need to understand those changes. Q: How did you become interested in studying the interaction between ice and climate? A: I came to it from the instrument side. When I started my career at NASA’s Jet Propulsion Laboratory, we started using satellites to learn new things about land ice and sea ice. It was all new and exciting science, and our techniques revolutionized the way we look at ice sheets. Polar regions always have interested me, so it was an easy fit. Today, with the rapid ice changes we are seeing, the research is more exciting and fruitful than we ever thought it would be. Q: You came to UCI from NASA in 2007. What do you like most about UCI and why? A: I like to get students involved in our studies and projects. Seeing them develop into competent researchers is a lot of fun. It’s also a way to give something back to future generations. We are living in an important era, with immense societal and scientific challenges in Earth system science. Encouraging young people to pursue science careers and contribute to a better understanding of our planet is important. I can do that better at UCI than at NASA.